In 2003 My world shattered into a million pieces, rolling across a GAP outlet as my brain exploded under it’s first Tonic Clonic seizure. This was the beginning of what I call my ‘decade of discontent’, a decade of my life that I gave to hospitals, doctors, medications, cycles of depression and eventually a brain surgery. Anything to stop the neurological condition that changed me from a person who worked and attended college full time to a person afraid to leave her room. Now, when I am volunteering at a National Poetry Slam, or performing for events like The Epilepsy Foundation of Greater Los Angeles 2015 Care and Cure Benefit to End Epilepsy in Children, people often ask me So, what do you do when you are not doing this? and I have to laugh. It seems like only yesterday I was afraid to stumble from bed to kitchen to bathroom without a chaperone and a bottle of Klonipin to calm me. Now, I am boarding planes and traveling cross country to read poems. Now, I am a person who can say it out loud—I am living with epilepsy. Poetry saved my life. Some people say this with a backhand wave, or a tittering laugh, like it is something cute or bohemian, something to file away under ‘experiences on my bucket list—that poet life.’ When I say poetry saved me, I mean it was the outlet that a person need when struggling to put her fractured brain together under the weight of a dysfunctional family tree and her own emotional collapse. A physically fractured brain now afflicted with aphasia—a neurological condition that can rob you of the ability to communicate, both written and verbally. Poetry stepped in when pills, the bottom of the wine bottles, unexplained but well placed scars and all the smashed dishes could not help. 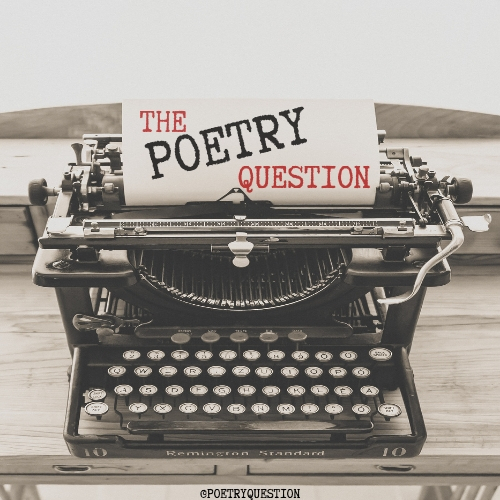 Poetry was more than an outlet—it was a dumping ground for all the things I needed to say. Poetry waited. It was patient, let me smash words and rebuild them, let me take the rules so meticulously laid out and pull them apart—nouns once so quiet rioted in my head, demanded action. I bricked, I unbridged, I began to helix the days between seizures together. Poetry allowed me to find new ways to explain the phenomena of spatial recognition to my doctors—the ability to recognize and remember objects not only as they were in front of me, but as they used to be, before the seizures started. For how else could I explain to my doctors what it felt like to play with the screw that jutted out behind my left ear without poetry? How else could I explain the visual phenomena that I experienced immediately before a seizure if not for the expansive language that poetry has given me? 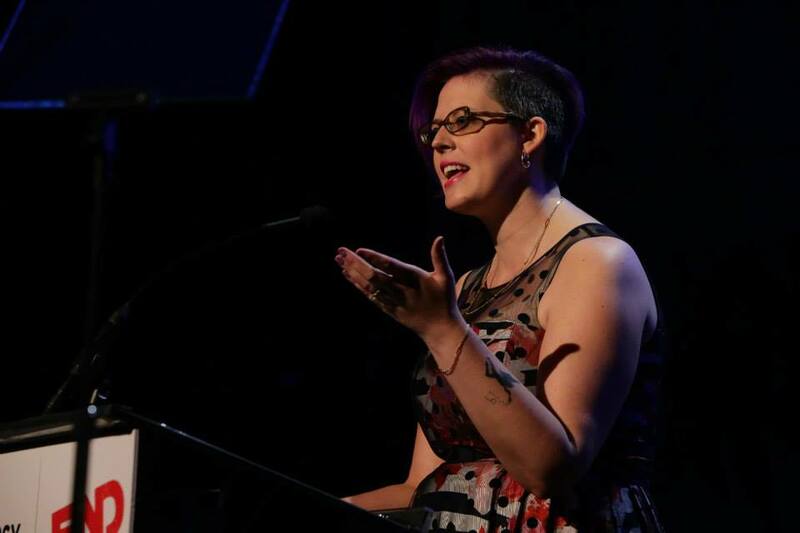 Poetry helped me take an invisible illness and wrestle it into something tangible, something I could pin to a piece of paper and then process, be it on a stage or by burning it in a fire. Poetry helped me find a hundred different names for my depression, and even more ways to put it back in its place. It helped me stand up and speak clearly again, helped me speak out for others who have been living in fear with diseases that have been around for centuries and are still stigmatized. It gave me a purpose, a reason to get out of bed, a playground to set my thoughts loose upon and then watch as they spun the most magnificent tales if I listened hard enough. It was only when I started sharing these words on stage that I learned how many others were spinning their own out of control tales and just needed someone to take their hand on this ride called life, let them know, I hear you. So now, when people ask me, So what do you do, when you aren’t doing this? I tell them, epilepsy has given me the gift of becoming a full time poet. Of devoting my life to this power, of eight hours a day, spell binding words to a page and marveling at my creations. It has given me a choice—stay in bed and give in, or get up and fight, change the world, one word at a time. So I fight. I never expected it to be easy, but it is damn fulfilling work.